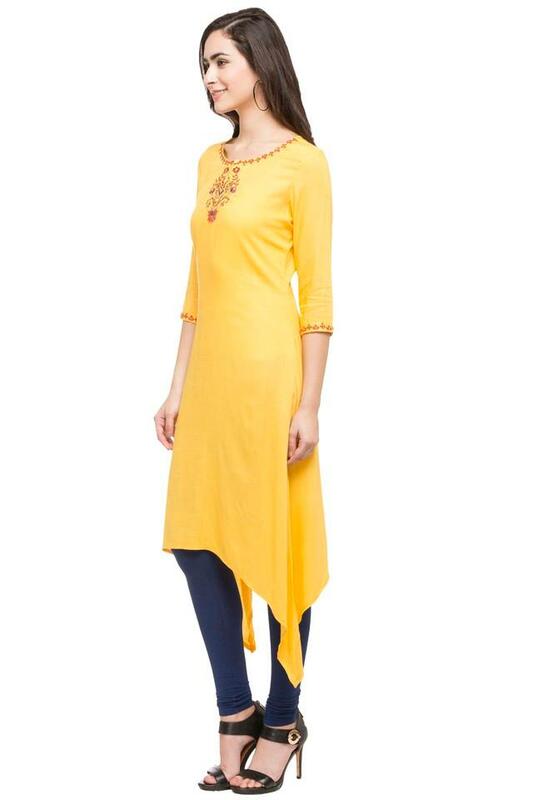 Take your style to a new level by wearing this kurta brought to you by Kashish. 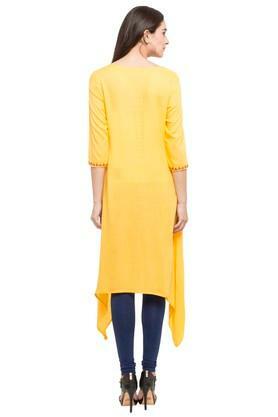 It has a keyhole neck that lends it a smart look while the three quarter sleeves further add to its design. It also features a slub pattern, which along with a resham embroidery work at the front renders it classy. 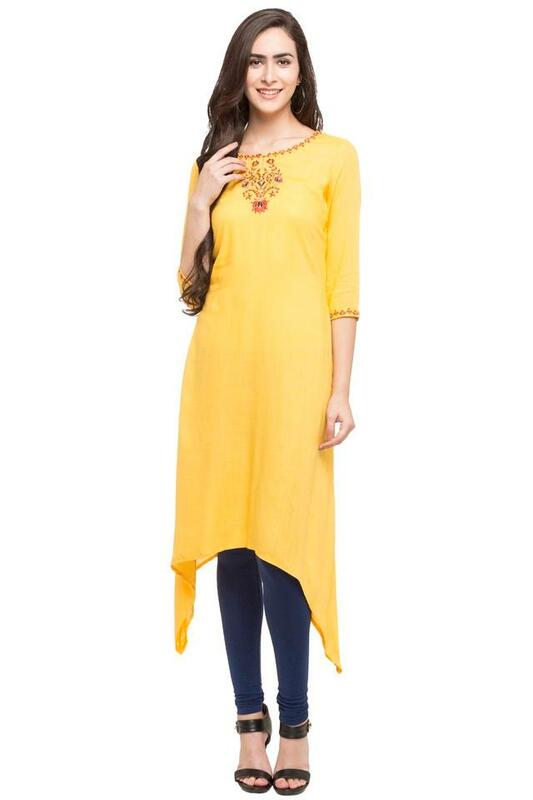 Sometimes, a beautiful attire like this asymmetrical kurta is all you need to make a style statement for any casual occasion. Wear it with a pair of leggings and heeled shoes to put your best foot forward.